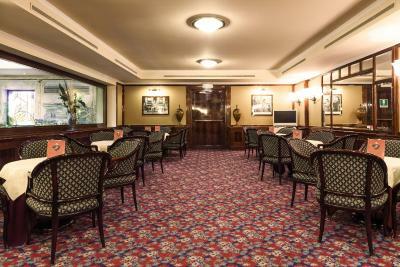 Lock in a great price for Doria Grand Hotel – rated 8.2 by recent guests! Everything was great; the stuff were professional, kind and helpful. The breakfast was very good. 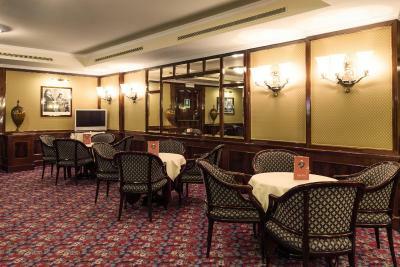 A pleasant staying and near shopping area with lots of restuarants nearby. Nice area, plenty of restaurants. Room was clean every day. Great location near the main railway station. The area is clean and safe, albeit a little too quiet meaning few restaurants/bars in the vicinity. A short walk to the metro. The bed and bathroom were amazing after having stayed in some quite ordinary ones. The breakfast was outstanding and I would like to mention 2 staff that really stood out however we didn’t get their names The young African American on reception was so helpful and pleasant and made our stay much better with the info he provided The gentlemen in the cafe/bar at night was so polite and made the end of our night very relaxing. Location near central train station great. 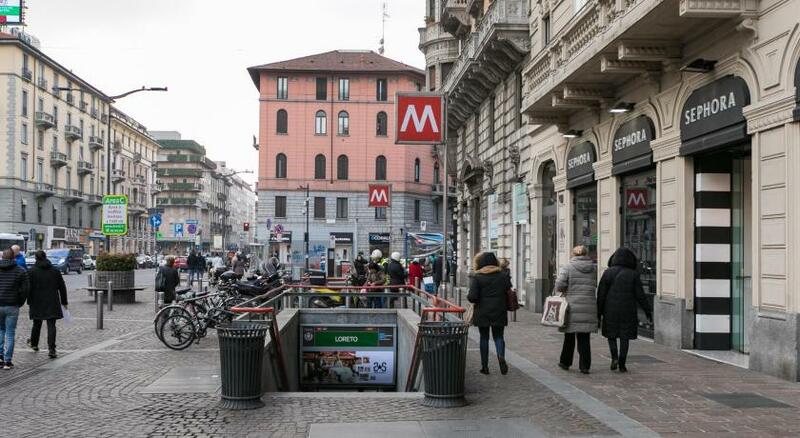 Also good access to subway and trams. Desk staff very helpful explaining how to access public transportation and good ideas for local sights. 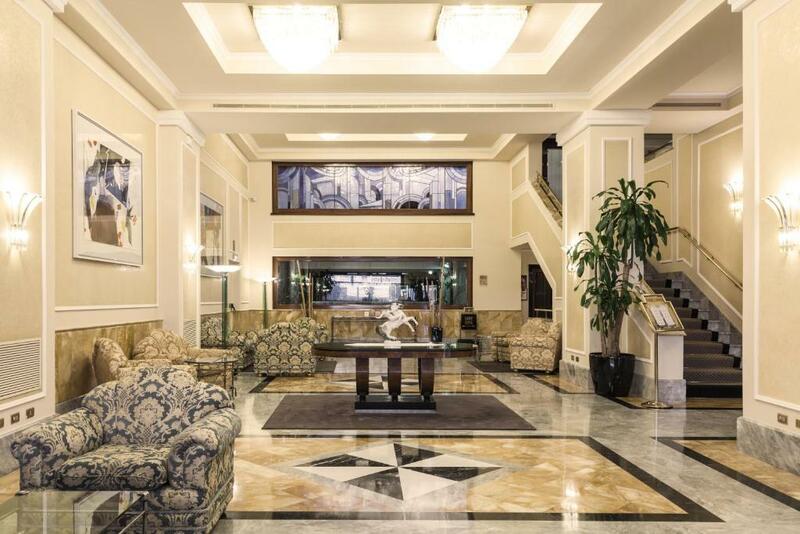 Very stylish hotel and close to Milan Central Train Station. Great staff - cheerful at checking-in, and supportive (we requested something beyond normal needs) at time of collecting our luggage. Also, our request for a room with better wi-fi was properly met and it was confirmed in written prior to the stay. 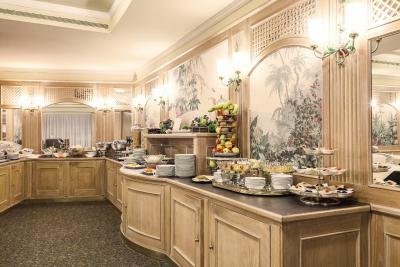 Doria Grand Hotel This rating is a reflection of how the property compares to the industry standard when it comes to price, facilities and services available. It's based on a self-evaluation by the property. Use this rating to help choose your stay! 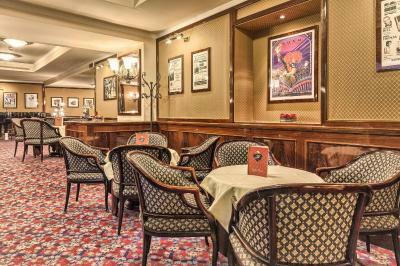 ADI Doria Grand Hotel is a 5-minute walk from the Corso Buenos Aires shopping street and from Milano Centrale Train Station. Loreto Metro Station is located 1,500 feet away. 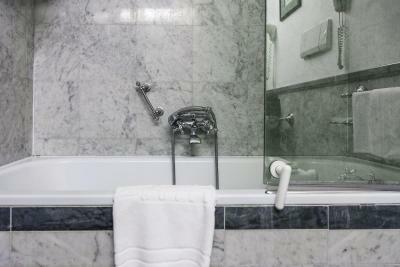 With free WiFi and classic-style décor, guest rooms feature a 26" LCD TV with satellite and Sky channels, air conditioning, and a large, marble bathroom with free toiletries and hairdryer. Guests will also find hypo-allergenic duvet covers and cotton linen. The restaurant overlooks a pretty fountain and serves Italian cuisine. 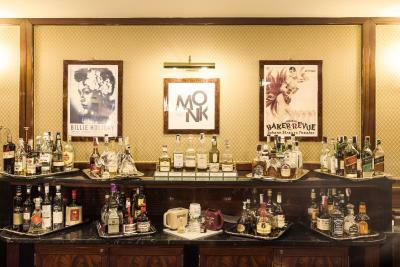 The bar hosts jazz evenings every week. 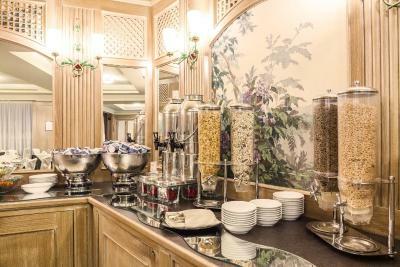 Continental breakfast includes fresh fruit, pastries, cheese and ham. Early breakfast before 7:00 is available on request. The ADI Doria is set on a quiet, traffic-restricted road. 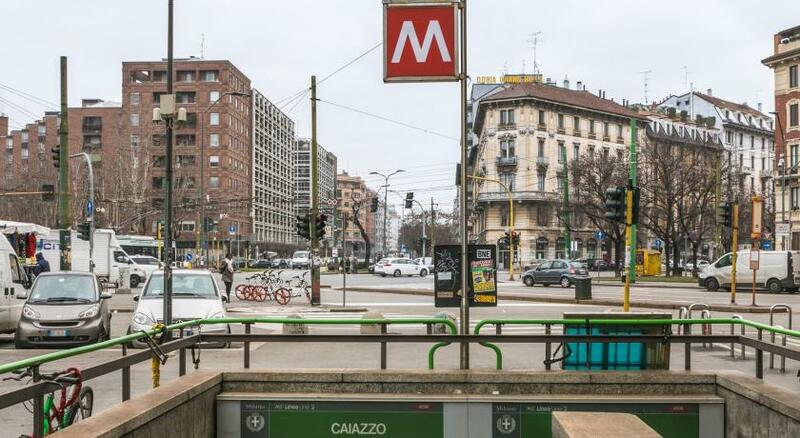 Ideally located among the Loreto, Caiazzo and Lima Metro Stations, it has excellent links around Milan. 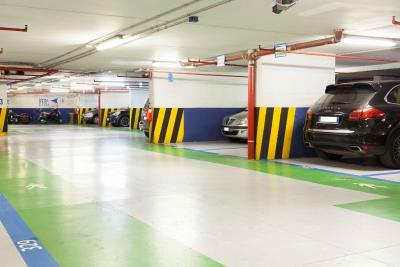 A shuttle service to Rho Fiera Exhibition Center is available during major events, on request and at extra charge. 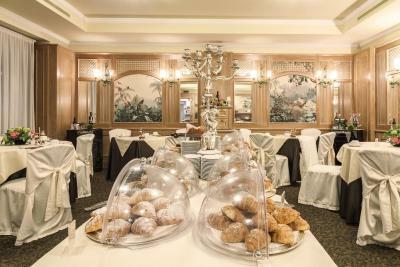 When would you like to stay at Doria Grand Hotel? This room has an elegant feel and features a 26" LCD TV with satellite and Sky satellite channels. 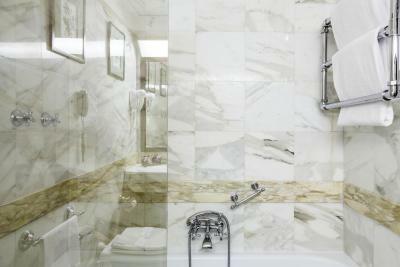 The bathroom is in Carrara marble. Has free Wi-Fi. 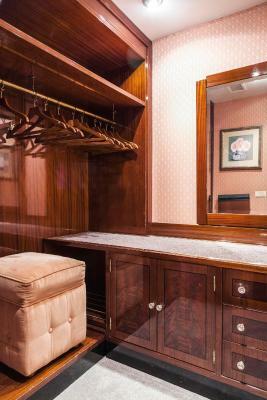 This air-conditioned room features a minibar with free soft drinks, an LCD TV and free Wi-Fi, parquet or carpeted floors. 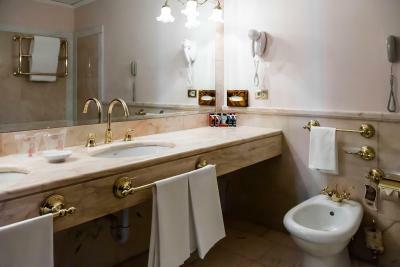 The bathroom is in Carrara marble. 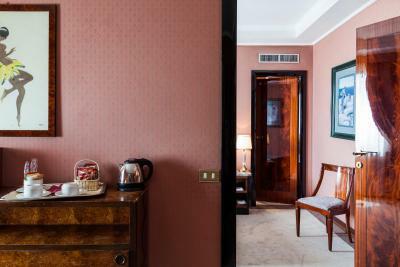 This spacious junior suite includes a living area and a bathroom made of pink Portuguese Marble, including a spa bath and a shower box. This quadruple room features a flat-screen TV, mini-bar and air conditioning. This double room has a satellite TV, soundproofing and mini-bar. 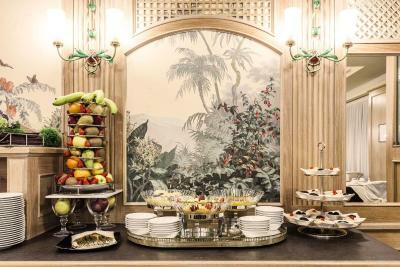 House Rules Doria Grand Hotel takes special requests – add in the next step! 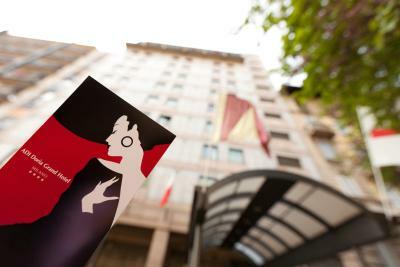 Doria Grand Hotel accepts these cards and reserves the right to temporarily hold an amount prior to arrival. The shuttle service is only available during major events. It is on request and comes at extra charge. Great position close to railway station. When we arrived around 1330 our room wasn’t ready yet and we waited til 1435, I went to the reception and followed it up As we waited that long I was told by the old man receptionist that check in times is from 1400 instead of saying sorry for the delay he sounds so rude and unapologetic . This is this is the first time I encountered delayed check in with no apology from the staff. I have been in 30 different countries and 50 different cities but this is the first time I encountered this , Shame ! to the fact that this is a 4 star Hotel. What a poor customer service. I like the choice of their breakfast. There is a supermarket just about 100m from the hotel, quite conveneint. And walking distance to the main shopping street. A true 4 star hotel. Nothing more. Near station, very clean and superior room. The service was exceptional. The staff was very helpful. While we did have a problem with the minibar at the checkout - 2 portions of cognac were missing but we didn't drink it (who would drink cognac in Italy?.. ), the administrator at reception had resolved the matter in literally 5 seconds without causing us any sort of inconvenience. I appreciate professional behavior a lot. 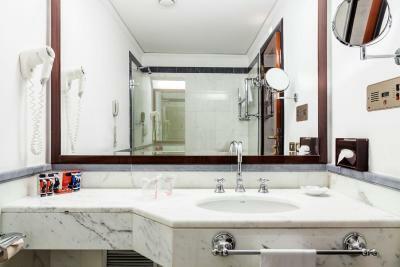 The room and the bathroom were very clean. Location is great. 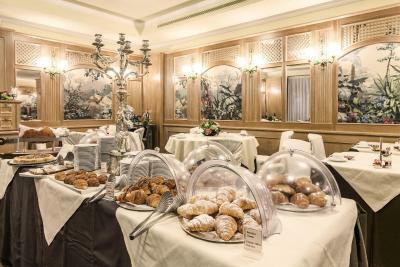 Very good and variable breakfast, comfortable beds, location near to Milan central Station(less than 10 minutes walking) . Very fancy big hotel, room had a teakettle, cups, tea, coffee and cookies. Also slippers and bathrobes. 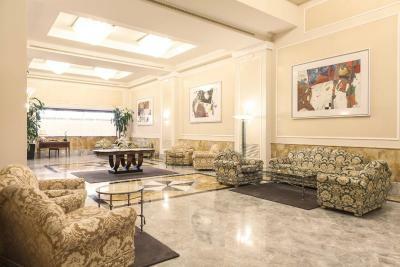 Perfect location if you planned trip by train as it is only 5mins walk to Milano Centrale. Great variety of breakfast, 5 kinds of cheese, couple kinds of meat and great bread. Really worth its price. I liked every bit of it! It was quite cold in the room, even tough I put the temperature on 25-30 degrees. Nice old style hotel, close to Stazione Centrale and Loreto (on the red line, who takes you to the Dome). Very good breakfast!